Are solar panels self cleaning? Your solar panels are about as self cleaning as your car, it looks nice and shiny when it is wet, but when it dries out it goes back to being dirty. The difference is when your car is dirty you are not losing money, but when your solar panels are dirty you are missing out in big dollars! 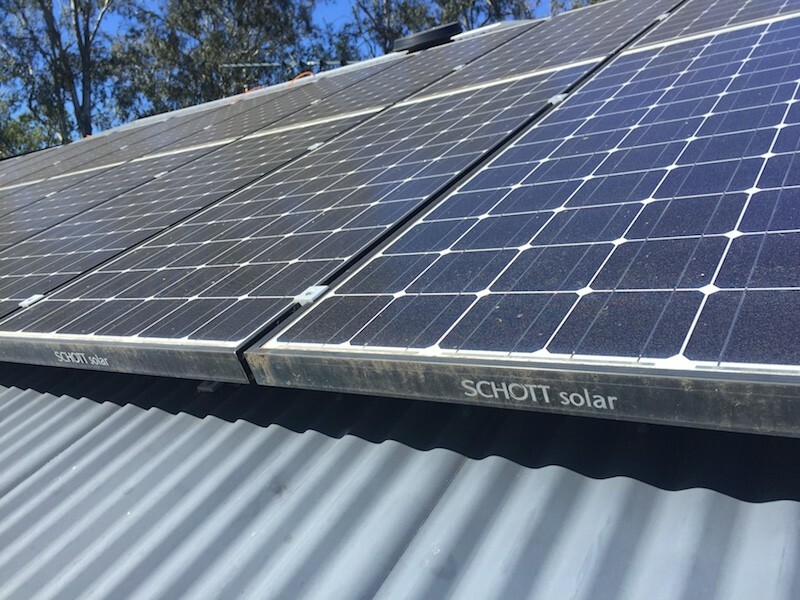 The solar panels most at risk of getting dirty are systems located in areas with a lot of gum trees, a lot of traffic (eg. busy road), near an airport or positioned under regular flight paths and rural dusty areas. The best way to see if your solar panels are dirty and need cleaning, have a look at them from the ground. If you can not see a reflection, there is a strong chance your solar panels are dirty and need a pro clean by I Clean Solar. Another pretty simple way to find out is by checking your energy bill. To find out more information or to get a quote to get your solar panels cleaned click here.